Who doesn’t want a bit of glitter and glam in their life? Well that applies to our makeup as well, especially eye makeup. So we thought of putting together some of the best glitter eyeliners that would not only glam up the whole makeup look but give a dose of oomph to your confidence. This lavender colored glitter eyeliner will be a perfect match for your purple outfits and will be best suited for parties or night outs. These glitter eyeliners paint on precise lines with the top of the thin brush for a glitterazzi look. It is a beautiful golden eyeliner with tiny golden glitter particles. This one is definitely a must wear for weddings or family functions. You can be sure to make heads turn. If you are in a rush and don’t have time to do an elaborate eye makeup, just wear this eyeliner, curl your eyelashes, apply mascara and you’re done! Silver Trance obviously is a silver colored eyeliner. It is like a slightly darker tone of silver that almost appears as grey. This shade of eyeliner looks absolutely gorgeous when paired with a bright red lipstick. Gold-Lation is a true golden color. It is not overtly towards brown nor is it more towards yellow; it is just what ‘gold’ looks like. This highly intense electrifying eyeliner makes your eyes stand out. The shade “Electric” is a gorgeous vivid blue. This is a gorgeous glitter eyeliner and contains minute glitter particles, nothing chunky. The end result looks really rich and vibrant – a highly pigmented blue. Hollywood is a super glam shade that looks wonderful on its own or when applied over other liners. It has a clear formulation infused with thousands of light reflecting glitter particles, perfect for that dazzling diamond look. The color is a beautiful unique royal blue which looks stunning on the upper lash line. It is perfect if you want to instantly glam up your eyes, but still looks sophisticated. 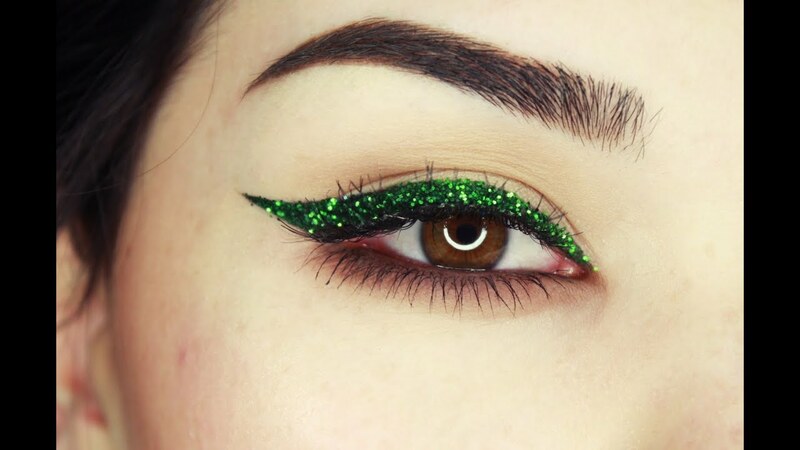 This is a great shade for party eye makeup owing to the super shimmery nature. It applies smooth and settles within seconds of application which is an added benefit of this eyeliner. The glam shade is ideal for parties and night outs and the super-fine applicator tip allows to draw dramatic lines for added oomph. The benefit of this liner is that it can be used as an eyeshadow as well. It is a beautiful metallic beige-ish color that looks wonderful both as a liner and as a shadow. It is perfect to be worn daily and on parties as well .